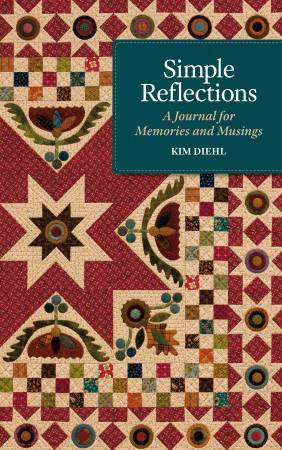 Relax, unwind, and make time in your busy day for a little reflection with beloved quilt designer Kim Diehl at your side. Kim's gathered photographs of favorite quilts and more to share with you in this dazzling journal, packed with visual inspiration to enjoy year-round. Among gorgeous photos of Kim's work, you'll find plenty of space to jot notes, write memorable events, and record inspiration wherever it may strike. Kim's included seasonal recipes too! You'll love bringing the beauty of Kim's quilts with you wherever you go--a handy take-along size makes it easy to do. Patterns not included.